Some kids are special, the saviors of the world. . . and the rest of us just live here. You just know that if you’d gotten that letter from Hogwarts you would be Gryffindor with Harry and the gang saving the wizarding world! Think about it though: even in Hogwarts there are background characters. Be really honest for a moment, even if you HAD gone to Hogwarts, you wouldn’t be saving the wizarding world, you’d be a random Hufflepuff just trying to survive until summer vacation. This is a standard coming of age drama set in a world filled with magic, vampires, and demigods. Satchel’s quest to save the world before graduation is in the background and the normal kids, those of us who just hope to survive high school, are the real focus. I honestly expected that the protagonists would get sucked into the quest for the big climax, and be the “unlikely chosen one” but that doesn’t happen. It does make the story a bit anti-climatic, but that’s the point. The end of the world drama is a separate story. I’m not sure how I felt about this novel. Although I’m not really sure what I was expecting. I guess I expected the “unlikely chosen one” trope, but that never happened. This really was a slice of life drama about a handful of kids, getting through the last few weeks of school before graduation. 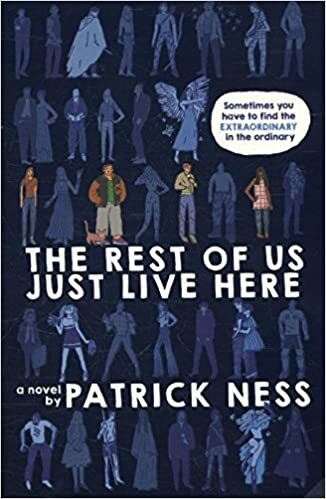 Ness does a great job showcasing that there is WAY more going on than what the protagonists are going through, while keeping the focus on that drama. It’s easy to get wrapped up in the drama of your life and ignore the world around you, which is what happens here. It was an interesting read, but I’m not sure I’d want to read another book like it. Previous Is Gone with the Wind Really as Racist as Everyone Says?